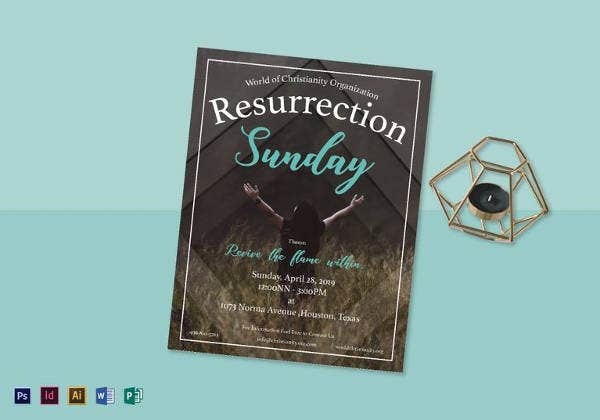 Sunday flyers are usually used by churches to help give more information about what is happening on their praise and worship service on a specific Sunday. Also, it is used by companies who wanted to add more traffic to their businesses during weekends, particularly on Sunday. This is for the reason that more people are usually outside their home and are going on different places because it is not a work day and children are also not having their schooling. 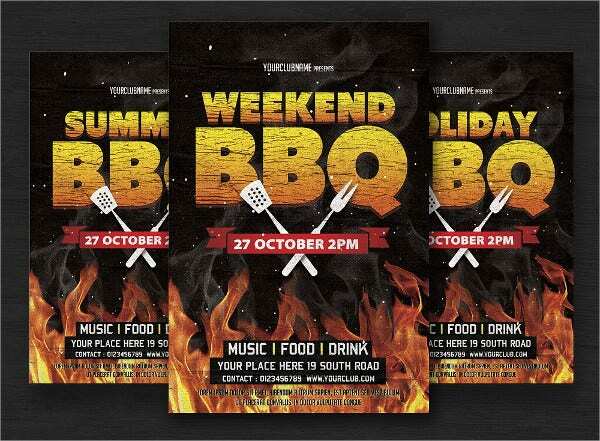 If you are to use a flyer on either of the reasons above, you may use our flyer designs. Most popular activities done by people during these days are going to their home churches and eating outside with the entire family or the people that are important to them. 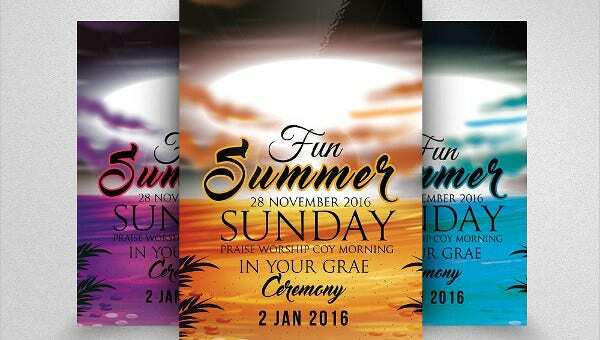 Make the design of your Sunday flyer family oriented. Since both parents and their children are usually free during this day, make sure that the promos that you are creating are for them. Some restaurants even have weekend menu bundles just to make sure that they can offer families who are going out together during this day. The design of these promos must be centered in family orientation. If family orientation is not possible for the product you offer, think of the groups that you may target. For example, a weekend sale or a Sunday happy hour on liquors is not appropriate for the entire family especially if there are kids. 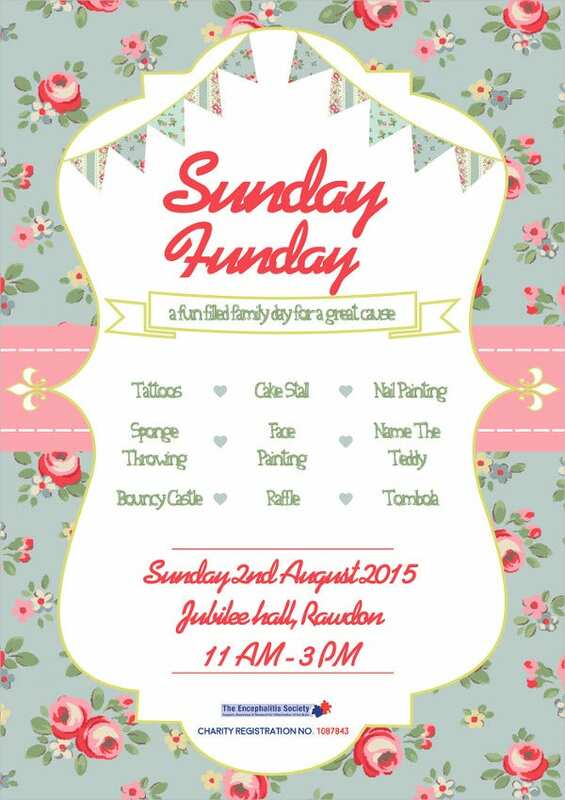 So, you can create a design that will highlight a group of young professionals enjoying each others company then. Consider the age bracket of your target customer for this specific day. 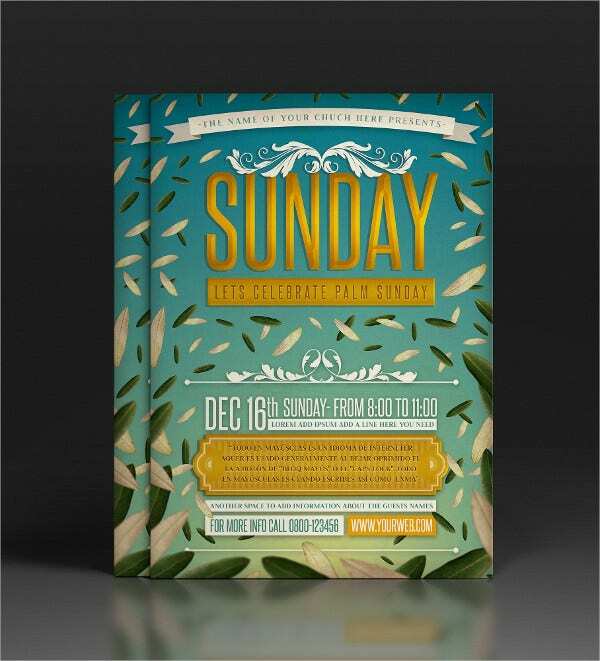 Your Sunday flyer will only work out well if you target a specific market that will consume your products or services. 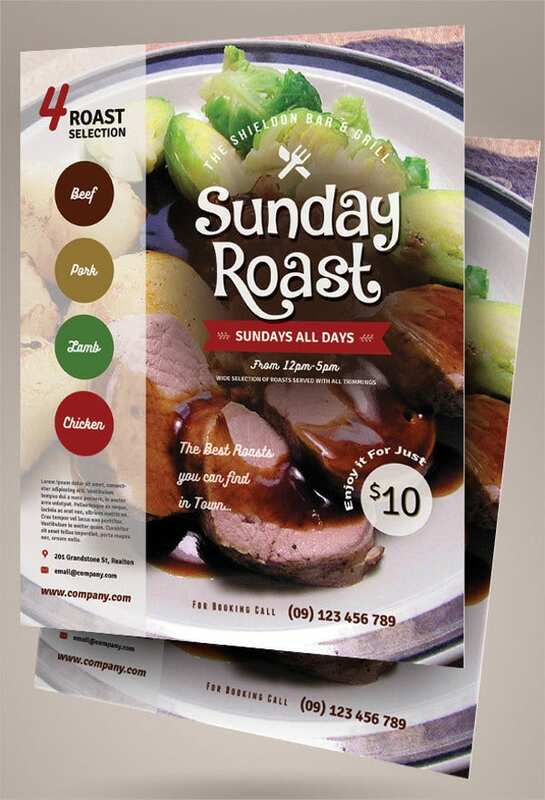 Practice customer profiling and give the flyer to your most likely prospective customers. 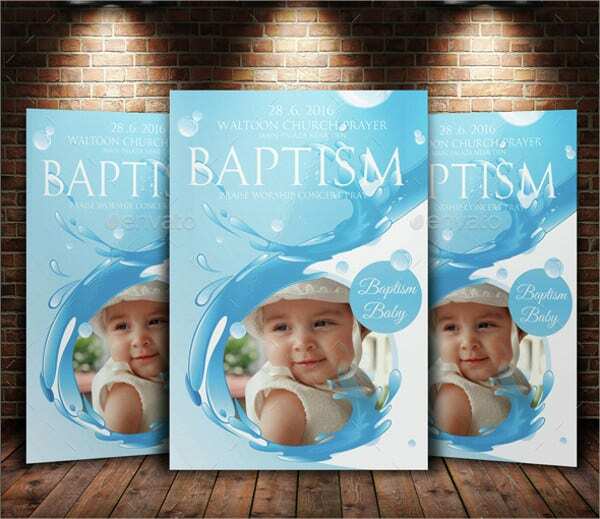 Sometimes, there are representatives of the company who go out of the establishments to give out the flyers that they have prepared. 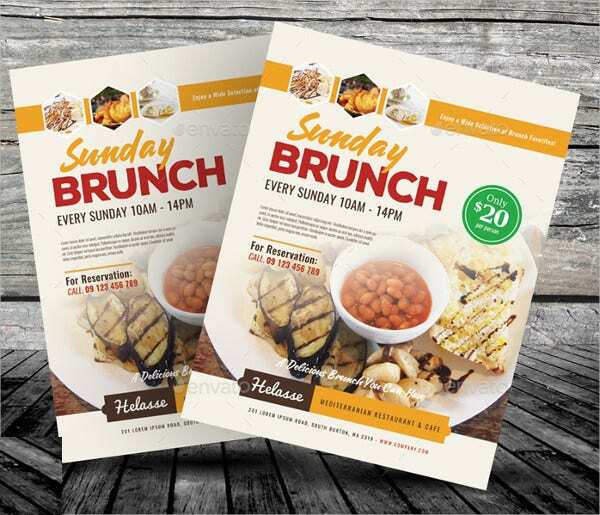 Be sure that they know the type of customers that go to the establishment so not all flyers will be wasted as it can give back through more number of customers. 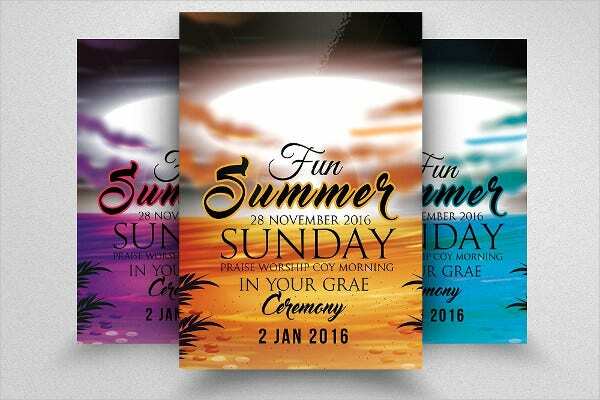 Aside from Sunday flyers, we also have summer party flyers available for download. Family days and gathering of friends usually happen during this day that is why there are a lot more activities and services that are offered compared to weekdays when most people are either on school or their respective works. 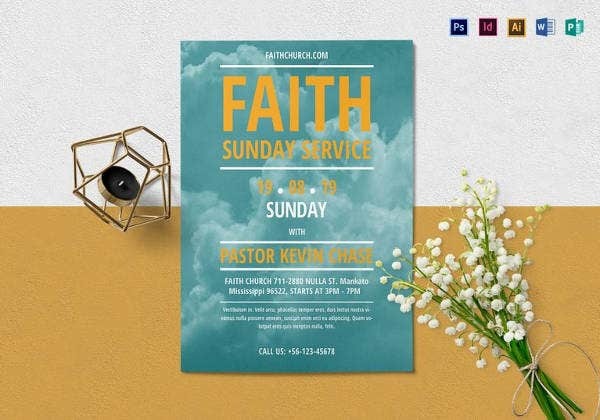 A Sunday flyer will truly help in getting the attention of these people and assuring that there is more traffic to the establishment where you are working at. 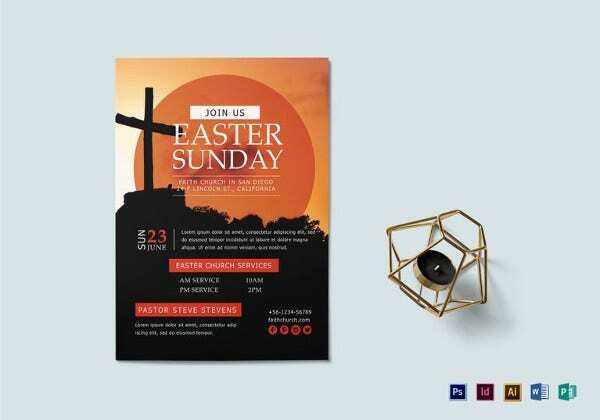 Create a great design and make sure that the content is well written and showcased—with these two in mind in the creation of a Sunday flyer, most often than not, nothing can go wrong. 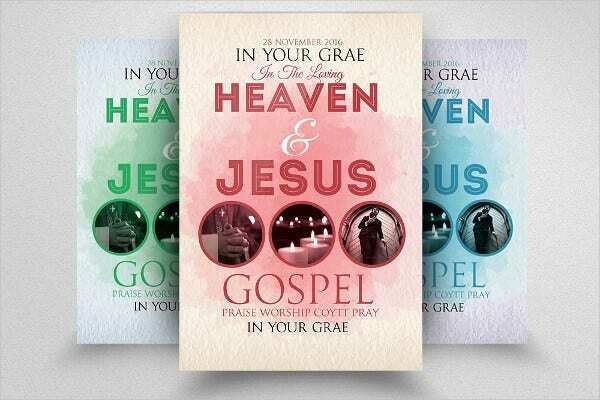 You may also take a look at our sample church flyers as it can provide information on how Sunday services are being outlined for the people.